The biggest rumor churning at the annual music and technology conference South by Southwest is that Daft Punk, the godfathers of nu-disco, will perform a surprise show at the State Capitol in downtown Austin, Texas. People talk about it at shows and in elevators. They obsess on Twitter. 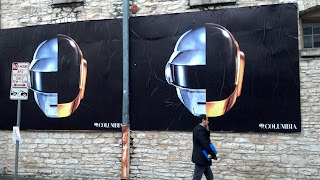 And it's all a conversation that was sparked by this cryptic display of Daft Punk posters on a street in downtown Austin. Since then, rumors have been churning out, including this supposed "show poster" that wound up being a fake stolen from an art student's online portfolio. Another yet-to-be-confirmed rumor that has people freaking out online is that one half of Daft Punk, Thomas Bangalter, was spotted at a France Rocks Austin event. The original Tweet has since been deleted. These rumors often take on a life of their own, as one unsubstantiated claim is echoed by others online, with the message slowly morphing like a giant game of Telephone playing out at the speed of the internet. 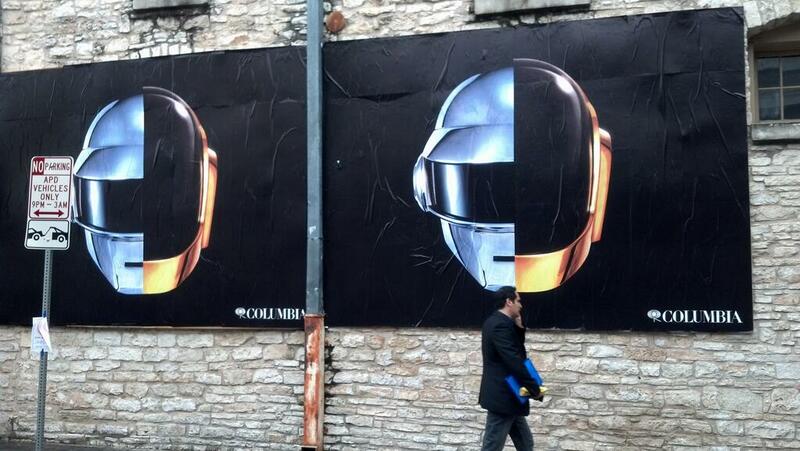 Daft Punk may very well perform during SXSW, and we would wait in line for hours if necessary to get in. But it's very unlikely it would be at the State Capitol. Here's why. Orchestrating a performance at the Capitol would be certain to pack the carefully manicured grounds edge-to-edge with stomping, ecstatic dancers grooving to a loud and highly produced stage show. That would require the kind of permission that would be very difficult to acquire and perhaps almost impossible to keep quiet. The Capitol grounds are the jurisdiction of the State Preservation Board, which, as its name suggests, is to preserve "the majestic Texas Capitol." All events that occur at the Capitol must be approved by the State Preservation Board and adhere to this event policy. The policy says the event must not "promote a commercial enterprise," which one could argue would be the purpose of a highly promotional performance by a major label artist on the cusp of releasing a new album. The policy also states that the event must not "obstruct entrances or interrupt traffic flow through the building," an especially important provision now that the legislature is in the middle of its 140 day session that happens only once every two years. In fact, if you look at the House and Senate calendars, you can see they have meetings planned all week. But who knows? Maybe the State Preservation Board will allow a performance more intense than the annual Christmas carol sing along it hosts every year. Maybe promoters will conduct the show later in the evening, after most legislators and their aides have left for the day, and then quickly restore everything to normal, as is required in that event policy. If they did allow Daft Punk to play at the State Capitol, it could be one of the most legendary performances ever in a city that bills itself as the "Live Music Capitol of the World." Update: Perhaps there's another possibility, that the concert could take place at 11th and Congress, right in front of the Capitol. Stephen Cortes writes in the comments, "Just like Sheryl Crow did several years ago, it would probably be at the intersection of 11th and Congress. The logistics wouldn't be that unheard of as Congress is often shut down for races and other events. Would definitely be one to remember." It seems unlikely... BUT, it probably wouldn't actually be on the Capitol steps per se. Just like Sheryl Crow did several years ago, it would probably be at the intersection of 11th and Congress. The logistics wouldn't be that unheard of as Congress is often shut down for races and other events. Would definitely be one to remember. Great point Stephen! I've added your comment to the blog post. They also did that for Obama when he was running for (re?) election. Perfectly possible, though I don't think it would stay just a rumor for very long if that were the case.